This exclusive Irish t-shirt design from The Irish Gift House features our Shamcus design on the back below the collar! 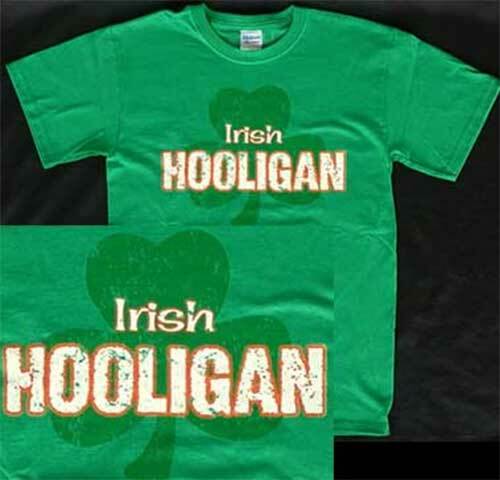 The Irish hooligan t-shirt is printed on a Irish green color pre-shrunk cotton shirt with distressed green, white and orange lettering. This Irish t-shirt also features a distressed green on green shamrock. This Irish t-shirt is received with a shamrock history card, complements of The Irish Gift House.